Today I am adding this #MyCoHealthReview to our growing list of #digireview’s. A few years ago I discovered the ear pick and discussed it in this post; this year my kit got an upgrade! 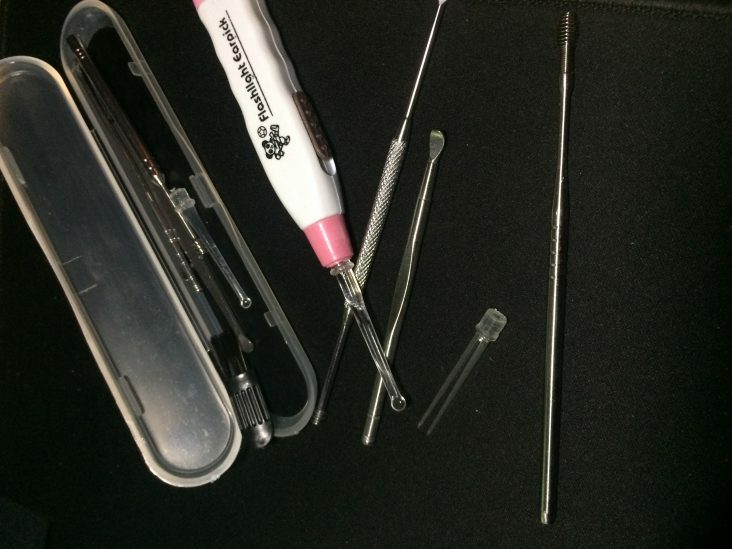 Please refer to the picture and video to get a better idea of what is this compact 11 piece ear pick kit. I started out using a single small handled stainless steel, which I shared in my first post and though the tool works well there are a few drawbacks. For example, I didn’t pay much attention to the size, shape or length of my first purchase because I didn’t know enough to do so. This time around, I made sure there was a variety to test and see which reach the best angles. Cleaning someone else’s ears are definitely easier with the flashlight/scoop attachments but the light isn’t much use when cleaning your own ears, you just have to learn to “get a feel” for the right direction/depth. Also, if you want to change the batteries in the flashlight you have to take it apart to some degree, the batteries are not easily accessible and they are small watch type batteries. These tools are a great option when looking for a safe, hygienic, and effective way to clean the wax from your ears, at home! I’ve also learned from experience that it’s best to use the tools after a nice hot shower, allow the water to massage your ears, loosen up wax and flush out any loose wax. ← Are you being forced out of your home? Foreclosure Information.